Scouting Notes: Justice Hill led all Combine RBs in 40 time(4.4), vertical jump(40”) and broad jump(130”), so it’s not a leap to assert that he’s an athletic specimen. He also put up the bench 21 times, so he’s a strong guy – I just wish that strength would show up on tape more. At only 198 lbs, Hill is not the player that is going to push the pile to gain extra yardage. He is going to pick up those yards by eluding tacklers using his elite speed and his ability to accelerate out of his lateral breaks with quickness and ease. His jump cuts are massive, and he covers a lot of ground with them. Hill is a fast starter too, bursting from behind the line of scrimmage through his holes so that he’s already picked up a chunk of yards before first contact. I will say that Hill isn’t always the most patient of runners, as he’s so eager to get up the field. Sometimes that works against him when he can’t seem to wait for his blockers to open his lanes. Hill didn’t catch a lot of balls in college, but he wasn’t really asked to. I envision him ramping up that aspect of his game at the next level, mainly because he’ll have to – His lack of size requires it. In pass protection, Hill does a decent job of stifling defenders, but he’s never going to be a real stop-gap in the NFL. With few drawbacks aside from his smaller frame, he actually stayed very healthy in college despite that fact, Hill should have a quick path to success in the NFL. 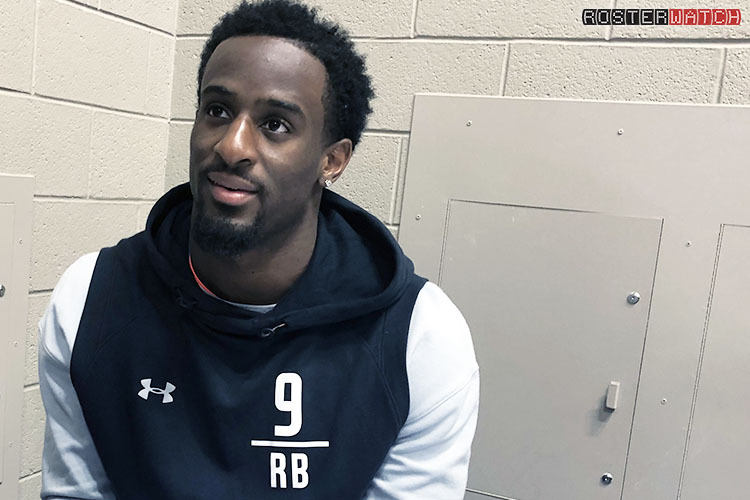 Fantasy Outlook: Hill’s Combine was cut short by a tweaked hamstring, but his strong showing assures him at least a second day pick in my opinion. Smaller backs who can do it all are in vogue these days, so I see Hill getting on the field early and often for whoever he gets drafted by. Hopefully he can put on another 10 lbs of muscle so he stands a chance of churning through some piles here and there. As things stand for now, I only see him having to leave the field for short-yardage situations. Hill should be a valuable add in regular and PPR leagues, in addition to being an early pickup in dynasty formats. If he lands somewhere RB needy, he will be an instant fantasy point producer on Sundays. Medical clean after 2018 ribs injury? Everything was OK. They’re just making sure. That was a while. Pry low 4.4, mid 4.4. How do you stack up in this RB class? I bring a little bit of everything to the table. I’m a versatile player. I feel like I’m one of the top guys. Exposure to pass game and receiving experience? Our system was like, throw the ball down the field, so I had limited work there. But I worked it in practice. I worked with receivers in the spring and fall so I got some reps there. James Washington and Mason Rudolph? They’re just playmakers. They play hard. James is a dependable player. No matter what the situation is, he’s going to make the play. Mason, he’s just a great leader, great quarterback. That’s what you need at the quarterback position. Any interesting stories working with those two? Right. He was still playing good to me. He’s just gotta get some targets. He’s going to catch them. Farm boy. He’s totally opposite [of most receivers]. Just low key. He didn’t really acknowledge himself or anything. He’s just low key and worries about his business. Playing without Rudolph last year? Obviously when you have a great player like that there’s going to be some drop-off. But Corn Taylor came in, did a great job for us. He had an opportunity to go on and do better things too. We’re just talking with everybody. I think I have one [a formal meeting] with them today. The Texans. Most of my interviews are today. I would have to look at my sheet. Not sure. You followed guys like Thurman Thomas and Barry Standers in Stillwater. Where do you fit in? Yeah, great players. Going into Oklahoma State, I just wanted to be one of the greatest. It was a great program full of great running backs. So I just wanted to be a part of the conversation, and I feel like I did that. It was a great experience being up there in Stillwater, and then obviously when you do something good, they reach out to you. So hearing from those guys, it was a good experience. Stylistically, how do you compare? I just want to be a versatile player. They both were versatile players, made plays. I just want to get the ball in the end zone, no matter what. I feel like I do a good job with that whenever I’m on the field. Honor roll, All-academic team. Does it work in football? 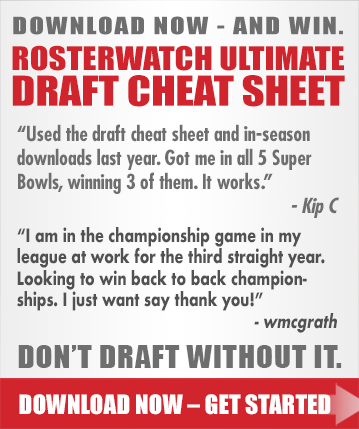 Does it help you absorb playbooks? Yeah for sure. It helps you learn easier. You just look at a play and you learn it. I just do that because I’m a competitor and I like to compete, no matter what the field is. If it’s football, school work, I’m just trying to compete and taking that and moving on to the next level. My major was finance. I’m finishing up here probably next spring. It was good. It was a good time. Yeah that was my guy. Not like super close, but we talk, hang out. Did you talk to him much last year? I haven’t talked to him since the season was over. I watched the games. I just haven’t talked to him. Marcus Arroyo? Thoughts working with him? He’s just a genius. He knows when to run a play, when to call a play. He puts everybody in the right situation. He did a good job. Like, when me and Chris were there at the same time, he did a good job putting us in to where we succeed, putting us in good position. His input was pretty much what went. He knew what he was doing. Whenever he called something, we’re probably going to run it. It was a team, not a dictatorship. So everybody put in there input and stuff. Personality in the position room? Laid-back. Real cool guy. He get the information out, we learn the plays, learn the information and everything else. He just did a great job in teaching me the basics. Favorite NFL back? Current and all time? Ever is LaDainian Tomlinson. Currently, probably Christian McCaffrey. Tell us more about your specific style? Favorite run play? My favorite run play is whenever I got the ball in my hands. I don’t care what the run play is. I like going out, obviously I didn’t do that much of at Oklahoma State, but I like going out and catching passes. I just want to be versatile, making plays everywhere. I’m a hard runner. I’m going to make plays no matter what the situation is. I’m just a playmaker. Receiving backs more and more important in today’s NFL, right? For sure. You just want to get touches. No matter how the touch is, whether it’s a handoff or a pass, you just want to be able to have the ball in your hands and make plays afterwards. It’s the opportunity. I just see opportunity. If you see opportunity to better yourself in the NFL, why not do it? I played three good years at college. I had three good seasons. I just was able, I want to be able to improve at the next level and get better as a player. Running backs in particular leaving early? Exactly. Running back is a brutal position. You don’t have a long shelf life or nothing. So you want to get out there and get as many years as you can. Would you prefer having been eligible even earlier? It doesn’t matter. Once you know you’re good, you’ll be fine. I don’t really have too much more to say. Three years is cool for me. You guys ran more wide zone two years ago. But you don’t have a preference? I don’t have a preference; I just like running the ball. A lot of your game is predicated on setting up blocks and cutting at last second — innate or something you’ve learned? It’s something I had but it’s something I work on. You always improve in that area — even your strengths you can improve on. It’s just something I watched some other running backs that know how to set up blocks and trying to take some things from other people’s games who have been great and try and input that into mine. How do you prepare to be potentially more of a role player type in the NFL? It’s a job. You just do what you got to do to help the team win. That’s all I’m about is just winning, so if I have to play special teams, if I have to get 30 carries a game, I don’t care. As long as we’re winning the game, that’s the bottom line for me. Interview process with clubs — how’s it going? Overwhelming? Prepared? Yeah I was prepared. It’s just some basic stuff that you should know. It’s been fun just being able to interact and talk with all the coaches. It’s been a fun experience. Long enough to make connections? Yeah you get a connection the first time you talk to somebody so I’ve been getting good connection with a lot of coaches and having some fun out there. I’m an explosive runner. I’m a big-play guy. If you get the ball in my hand, I’m going to make something happen. I’m versatile. I like to run the ball, catch the ball. I just like to make plays and get in the end zone. You had to prove yourself to get to OK State. Do you feel same way now? It’s always like that. I’ve been told I can’t do something for my whole life so going to the next level I’m going to have the same mindset. I just want to go out there and play hard and do what I do. Big stud going in to Booker T High? I just knew how to play football. In middle school, you don’t have no hype like going from high school to college. I was just coming into the program. It was a great school that I always wanted to go to and play for. So Booker T, I didn’t play my freshman year or a little bit of my sophomore, but once I got out there, I started making plays happen. Which team did you root for growing up? And which clubs have reached out the most since declaring? My favorite team growing up was the Chargers. But I’m not a fan anymore. But I was a Chargers fan when L.T. was there. He was my favorite running back, but once he left I just had to have a team. I’ve been talking to a lot of coaches. I can’t just pinpoint out a few. I’ve been talking to some guys and building relationships. Player other than LT you looked up to? versatile, making plays out the backfield and running the ball. They’re both Hall of Famers for a reason, so those guys are some of my other favorites. I don’t really listen to much of the negatives, but … I don’t know what. What’s something that you hear? Most surprising part of draft process? I pretty much just prepared for it. I knew it was going to be some long days and long nights. But definitely like the medical part, just being a part of that all day. I didn’t think it was going to be that serious, but they look at every part of you. Most important woman in your life? Obviously my mom. She’s my mom. Everybody got the greatest mom in the world. So, I do too. I just learn everything from my mom. She’s a great mom and makes sure everybody is OK, prepared and getting to places where they need to be. What would you be doing if you weren’t playing football? First, I’d probably still be in school. Then I’d probably be doing something in finance, a financial advisor or something like that. I’ve been so busy. I didn’t binge anything. I’m a barber. I cut hair. I don’t like pineapples on my pizza. A lot of people like that. I don’t like that. Funniest person in the world? I don’t know I couldn’t answer that one. Maybe, Michael Blackson. Investing. I’m a finance major, so I did that in high school and I do that now. And video games. I’m a Call of Duty guy but I play Fortnite because everybody is playing that. I hadn’t hopped on the [inaudible] yet. As a finance major, conflicted by how RB position is valued in NFL? Not really [conflicted]. If you’re out there doing a great job, doing what you’re supposed to, you can get paid. I don’t have too much to say about it. You just do what you gotta do. Definitely. I feel like I can be dangerous in that area. Mike Yurcich as an offensive coordinator? He’s just … he knows what he’s doing. He knows how to get the ball in the end zone. He was assertive. He made sure everyone knew what they was doing. He paid attention to detail. Makes sure we go through everything and makes sure everybody knows what they’re doing. He was a good offensive coordinator. He’s an aggressive play caller. If you see the home run, he’s going to throw the home run. He gets the ball down the field, throws it out there a lot. He tries to get it in the end zone a lot. Level of confidence on offense? We want to score every time we touch the ball. Every single time we go out there, we try and get in the end zone. If you’re thinking like that, it might not happen every drive but you’re going to score most of the time. The talent to do that? Oh yeah, we definitely had the talent. We knew we were going to be in the right place and get the right call. So just go out there and execute, everyone doing their job and we’re going to get in the end zone. What would it be like to follow Thurman Thomas from OK State to the Bills? That would be cool. Just being up there in Buffalo, knowing what he did and doing what I did at Oklahoma State. So just going up there, I broke some of his records in Stillwater, so hopefully I could go up there and break some more. What’s it like being in that same conversation with him? It’s crazy. Just growing up, watching those guys and they got gold jackets now. To be in a situation where i was doing some of the things that they did, and did some things better, it’s just crazy to think about. Just messages a little bit but I didn’t talk to him one on one yet. What’s his message to you? Everyone thinks Mike Gundy, run and gun. But what do you bring to the table? To be able to pass the ball, you got to be able to run the ball. So for our offense, I was gaining yards on first down, getting the ball and getting positive yards. I tried to move the chains as much as possible, tried to get in the end zone as much as possible. What sets you apart from other RBs in this class? Just my versatility. I just want to make plays. However many times I touch the ball, I just want to make plays every time. It just came over time. When I was a kid, you just working on all this stuff. As a running back, you want to be able to do all this stuff. You watch Barry Sanders highlights, you see him do all kinds of stuff. I just try to incorporate all that stuff because it’s an effective move, even if you’re in the perfect position to make the tackle, you can slip off of it. I like it. One of my favorites. Read any tweets about the spin move? Not unless someone @ me. To be honest, I just need the ball in my hands. I don’t care if it’s gap scheme, zone scheme, I don’t care. As long as I get the ball in my hand, make a play. What do you want to show teams? In our system we didn’t throw to the running back a lot outside. Here, I just want to go out there and show them I can catch the ball. I’m doing some receiving stuff so I want to go out there and prove that too. A shifty back with exceptional change-of-direction ability that is one of the nation’s most explosive playmakers … One of 10 national semifinalists for the 2017 Doak Walker Award presented to the nation’s top running back … His 2,609 career rushing yards ranks seventh among active players and is first among juniors who play in Power Five conferences … His 14 career 100-yard rushing games ties for third among all active FBS players returning in 2018 and is second among running backs from the Power Five conferences … One of only seven players in Oklahoma State history with multiple 1,000-yard rushing seasons … One of only four OSU running backs – the others being Barry Sanders, Thurman Thomas and Terry Miller – to average at least 100 rushing yards per game in their respective careers (minimum 20 games).